One of the biggest events on the annual tech calendar has passed without many major announcements from bitcoin or blockchain industry firms. 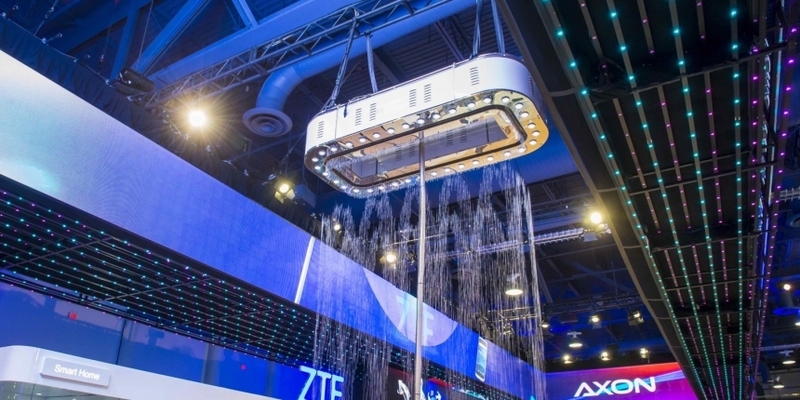 The 2016 Consumer Electronics Show (CES), held in Las Vegas last week, saw a notable decrease in the number of industry startups attending, with 2015 attendees including Blockchain, BitPay, Circle and Kraken indicating they did not participate. Further, of the assembled participants, a lineup that included lesser-known names such as BitCircle, BitRouter, Bits Limited, HyprKey and Ledger, only the latter company had a booth showcasing its technology or an announcement as it unveiled its new flagship bitcoin hardware wallet, Ledger Blue. Ledger co-founder Thomas France told CoinDesk during the conference that he noticed a particular absence of peers at the event. “We’re the only bitcoin startup this year. There’s a couple of bitcoin [people] that came to the stand, but no other bitcoin products,” France reported last week. The development is a contrast to 2015, when 10 industry startups combined efforts to launch the ‘World of Bitcoin‘, an effort led by bitcoin payments processor BitPay to showcase the emerging technology and then-new products like its Copay wallet. In statements, BitPay largely dismissed its lack of presence at the event, stating that attending simply wasn’t in line with its current strategy. The World of Bitcoin is the latest educational outreach initiative to be disbanded by the bitcoin payment processor amid staff reductions, following its decision to end its sponsorship of the postseason college football game, the St Petersburg Bowl last year. When reached for comment, most bitcoin startups did not provide further insight as to their reasons for not attending. Blockchain cited scheduling conflicts, while firms like Kraken and Circle simply reported that they were not at the event. David Raviv, VP of corporate development at HyprKey, speculated that the funding environment for the bitcoin community could have influenced attendance. “These events are super expensive. You come out here as a startup, you’ll drop $60,000–$70,000. So depending on where you are in the funding cycle you may not see it as a priority,” Raviv said. He suggested some established digital currency firms may be seeking to conserve funds in light of perceived funding issues as investor interest transitions to blockchain use cases. Raviv was also keen to stress that HyprKey has an expanded product suite, and that it saw a market for its biometrics solutions in the home automation, healthcare and wearables, all industries he said were well-represented. Even Ledger was seeking to position its offerings toward a more mainstream audience for CES, booking a booth in the cybersecurity section and billing the Ledger Blue as a “privacy and security device” in its official release. Still, France suggested the event was fruitful for the startup, which saw interest from some major financial firms. “We had some people from the innovation from the banks coming to look. Bitcoin is blockchain security. You always have to have some sort of trusted hardware,” he said. The industry was given more exposure at the Digital Money Forum, a CES event produced by Living in Digital Times and sponsored by MasterCard. There, familiar faces such as Uphold chairman Halsey Minor, SnapCard CEO Michael Dunworth, Chamber of Digital Commerce president Perianne Boring, and Blockchain Capital managing partner Brock Pierce participated in talks on digital payments. Though featuring representatives from in and around the industry, only one panel session directly addressed the industry in title, with “Virtual Currency (Block Chain 101)” covering how the technology is being embraced by financial institutions. Elsewhere, topics were more generally framed under titles such as “A Brief History of Money” and “Wallet Payment Systems”.